CES operates one of the largest fleets of High-Pressure Cleaning/Vacuum trucks in the United States. These combination trucks are large vehicles designed to clean the interior of pipe systems and vacuum the retrieved debris from an access structure. 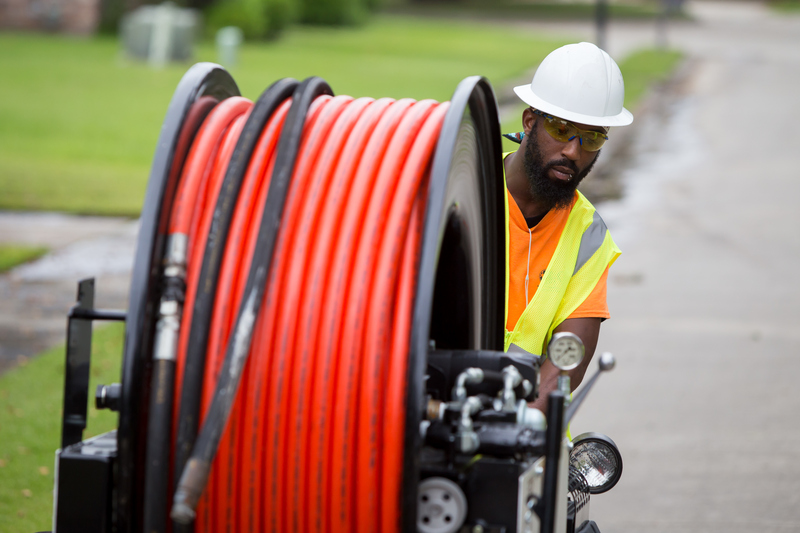 Sewer lines must be cleaned before television inspections. The cleaning operator will use various nozzles to deliver up to 3,000 pounds of pressure per square inch to dislodge grease, roots and other debris. The vacuumed debris must be decanted and disposed of properly. After cleaning, clients will see improvements in system hydraulics and lift station performance, as well as a reduction in pump wear. Cleaning also provides increased system capacity, reduced customer complaints, and a reduction in overflows and bypasses. 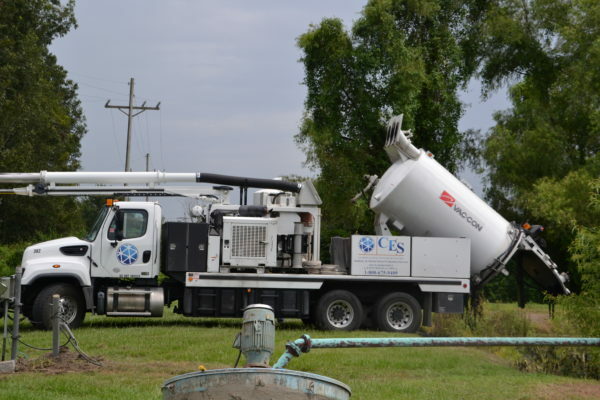 CES can clean sanitary sewer lines, storm sewer lines, manholes, lift stations, and more. 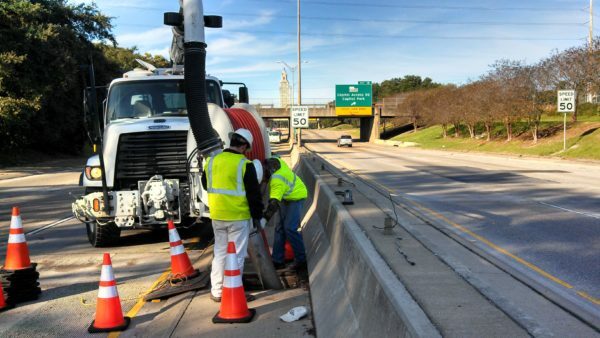 Standard cleaning trucks can clean up to 700 feet from one manhole. 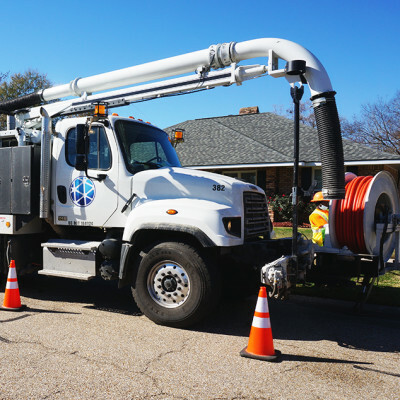 CES also has custom equipment that can clean up to 5,000 feet from one manhole, sometimes eliminating the need for bypass pumping operations. Proper storm drain maintenance allows a drainage system to operate at full capacity. Blockages and defects in aging sewer systems often cause localized flooding, as it did in New Orleans after the rain events in the summer of 2017. CES received the 2018 Project of the Year Achievement Award for the New Orleans Emergency Catch Basin Cleaning Program, where 7.2 million pounds of debris was removed, with 93,000 pounds of that being Mardi Gras beads! Watch CES cleaning operators vacuum debris out of a catch basin at the video below.